Talalora was among four towns in Samar hardest hit by Super Typhoon Yolanda, with around P100 million worth of infrastructure damaged in the nearby towns of Basey, Sta. Rita and Marabut. Among the damage, the first – and only – civic center in the poblacion of Talalora. It serves as a primary venue for the town’s civic, sports, cultural and school-based activities, and provides a vital meeting place for enjoyment by all members of the community. 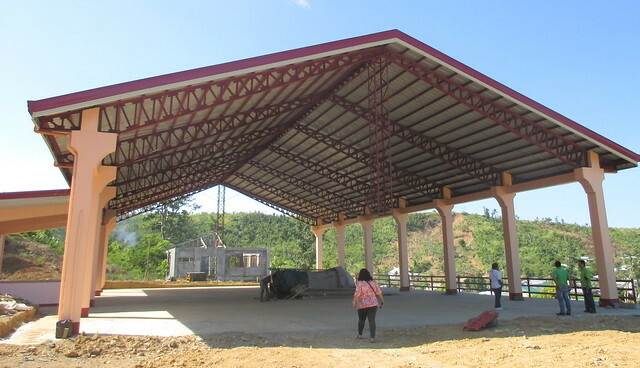 With support from RAY DILG, the civic center was repaired soon after Yolanda struck. A new roof structure, replaced electrical wiring, concrete reinforcements, and the like then ensured that the civic center could once again, become a place for the community to gather. Yet in December 2015, the civic center faced its first major challenge – a storm surge wrought by Typhoon Ruby (Hagupit). “Our town became well-known during Typhoon Ruby, because of the news that our town had been washed out due to the storm surge,” Mayor Leonilo T. Costelo explains. “This project was also a test for us,” says Mayor. “Some critics doubted if we will finish the project. When it was completed, it showed the people that the government are fully accountable to them, and can implement a project within the scheduled period,” he added. There are many surreal memories shared by survivors of Super Typhoon Yolanda. For some in Santa Rita, Samar, the most unreal of these are of a coastline without water: when, on November 8, 2013, the sea seemed to have drained away. “The accounts of the people here, especially from those who leaving in the coastal area was that three to five kilometers from shore, there was no sea water,” remembers Siony Afable, a local DILG field officer. The municipality of Santa Rita, Samar, is connected to Tacloban City in neighboring Leyte by the San Juanico bridge, the longest bridge in the Philippines. Super Typhoon Yolanda’s gale-force winds would cause extensive damage to local government infrastructure, including the municipal building, public market and civic center. With support from RAY DILG funds, repairs were extensive: and vital to ensuring continued public access to government and community services. At the municipal hall and civic centers, respectively, funds provided for the repair of the roof, doors, windows and repainting. At the local public market, roof repairs, repainting and electrical works. With repairs complete, life in the town could then return to a semblance of times before Yolanda. 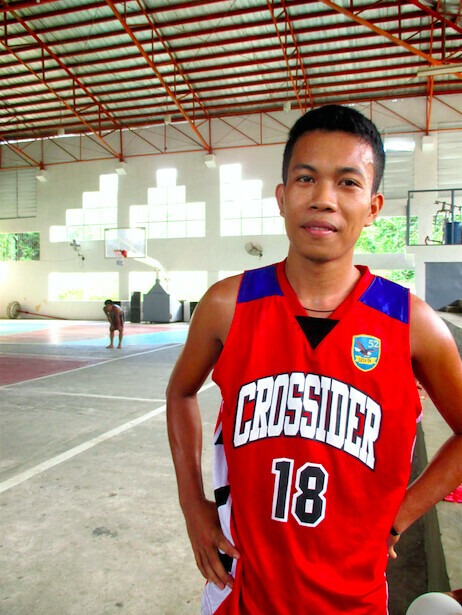 At the local civic center, basketball player and local resident Brian R. Lazarte explains, “after Yolanda, we would usually have our basketball practice and games under the sun. 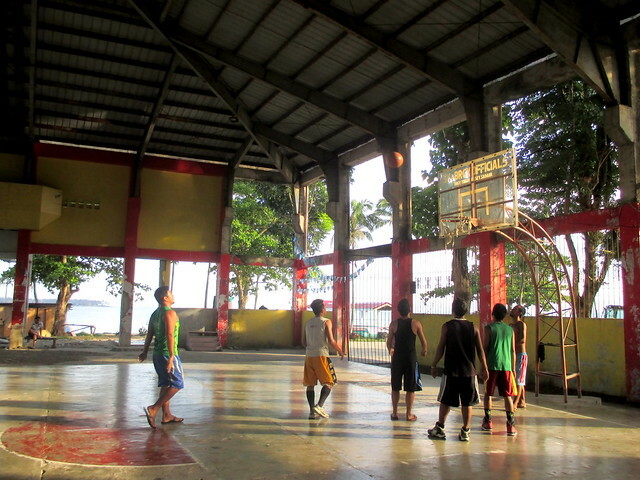 Now that it was repaired, we are using it again for our basketball leagues like the ‘Basketball Cup’ sponsored by our mayor,” he says. Yet there have been significant changes, particularly in attitudes towards disaster risk reduction. However, “our people here have really changed,” she explains. “Before Yolanda, you had to force them, and argue with them that it was time to evacuate. However, during Typhoon Ruby – even while we were still under signal number 1 – local residents went to the evacuation centers right away. We still lack DRRM equipment, but our DRRM plan was updated already and in-line with the Oplan Listo of DILG,” Siony added. This included the old civic center, which suffered significant damage during Yolanda. Once situated on the coastline, it has been moved further inland. “We decided that it needed to be in a safer area,” Aladin says. 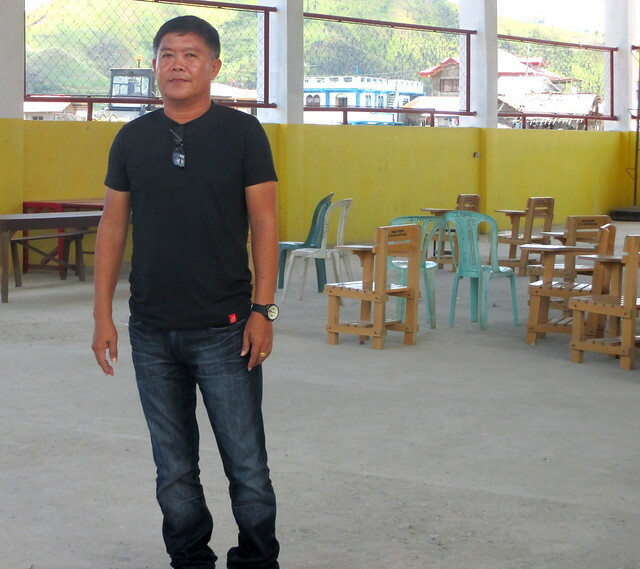 “It is a very much safer facility, and one we can use as an evacuation center, even if there’s a tsunami,” he says. 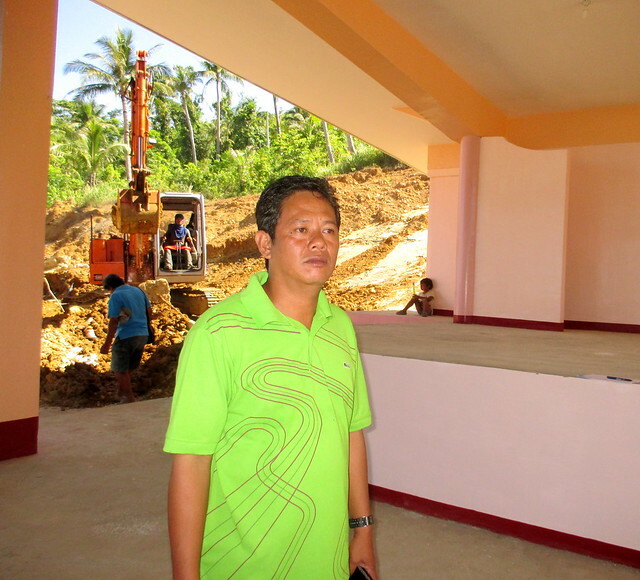 “We’re very thankful to the DILG for the providing us with the funds to construct our new civic center,” Aladin says. The local government has since used its own fund to build additional slope protections, to prevent floods during rainy season. Even today, the LGU has big plans for the center. 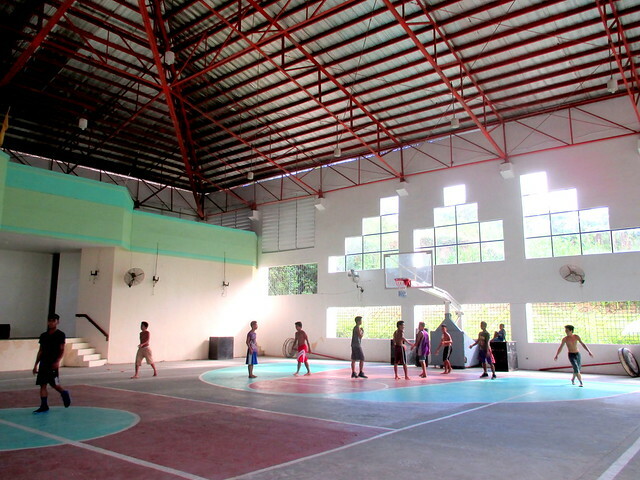 “Our future plan here is to install screens, so that the facility can be used for sports activities like basketball,” Aladin says. “The repair of our main facilities is very helpful to us because it reflects how we are moving forward, after this terrible event,” he adds. 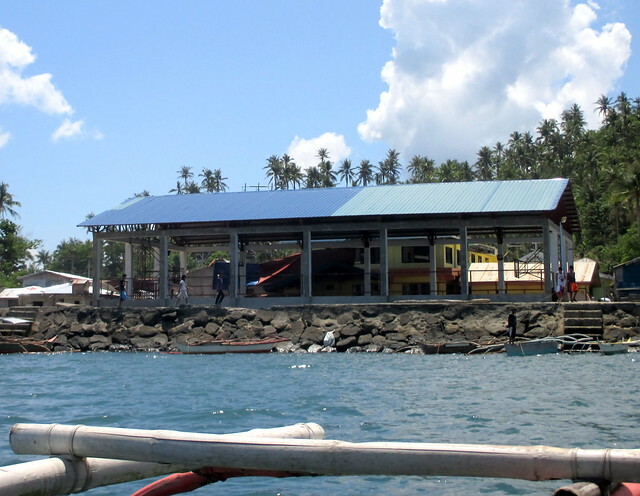 In Samar province, the municipality of Basey – which faces Tacloban City – was among those badly hit town by Super Typhoon Yolanda. The local civic center is situated right beside the coast. 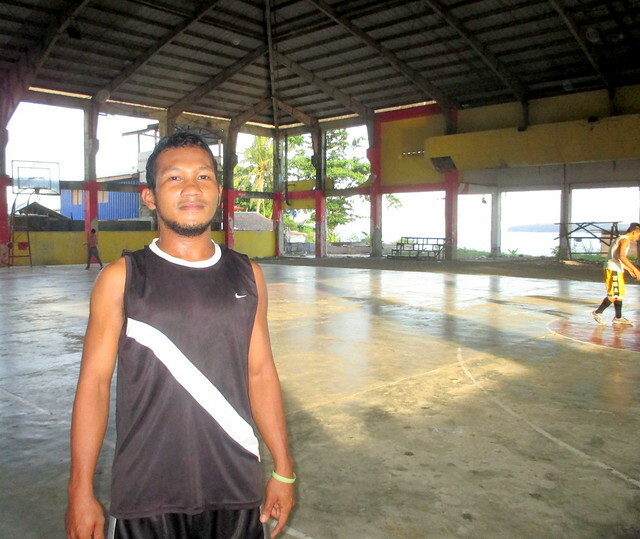 As local resident and active basketball player Benjamin Amascual explains, the center “was totally destroyed. Really, it suffered so much damage,” he says. “After the typhoon, many international NGOs came, and most used the civic center as the venue for distribution of relief goods. Others, including Norwegian and German NGOs, also provided medical assistance in the civic center,” Benjamin says. Later, RAY DILG funds were used to construct a new stage, provide new comfort and dressing rooms, and repair the damaged roof. “The new concrete stage has been built on the other side of the facility, further from the sea,” Benjamin says. “I really love to play basketball and the location of our civic center is very strategic because it is in the town proper,” he says. “Since the repair, we’ve been able to hold basketball leagues again. During our town fiesta, this is where the concerts from live bands are being held. Since it has a bigger space, it is also being used during wedding reception, debut and birthday,” he added.